PdTe2 (palladium ditelluride) is vdW layered type-II Dirac Fermions, Weyl semimetal, and a superconductor crystallizing in hexagonal phase structure. It exhibits superconductivity below 2K in bulk topological predicted response. 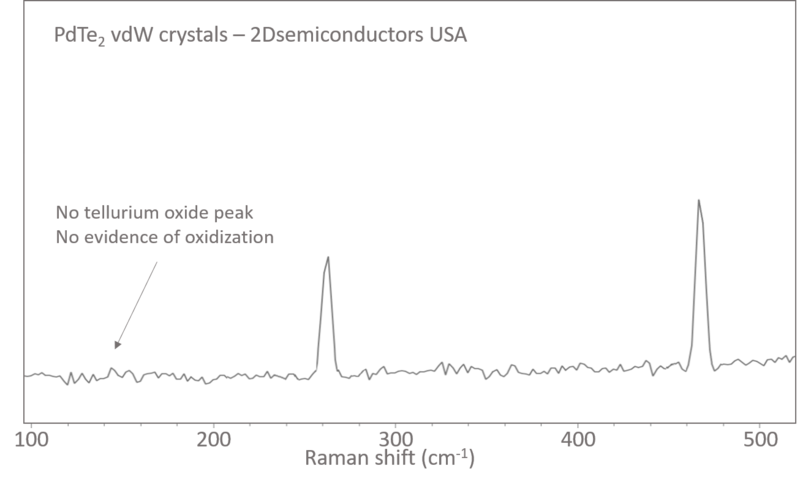 Our PdTe2 crystals are the only commercial crystals that does not suffer from oxidization due to low defect concentrations (see Raman spectrum). 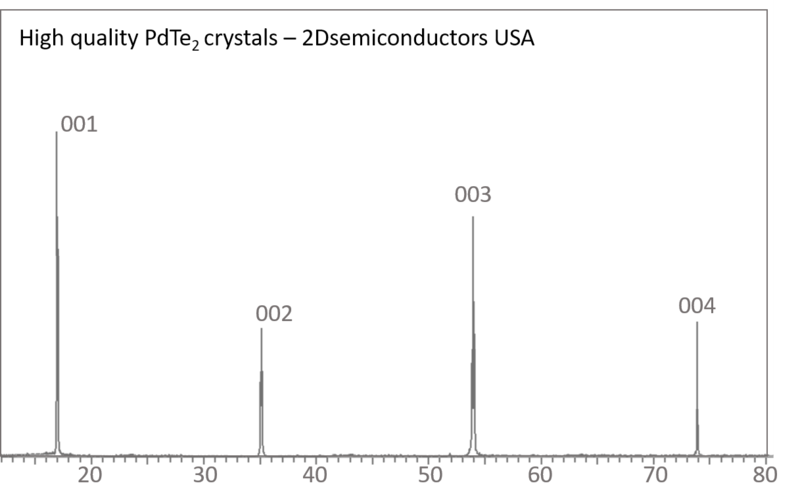 PdTe2 crystals exhibit extraordinary crystallinity with extremely low defect concentrations as low as 1E9 cm-2 levels. The presence of defects are well-known cause for reduced topological and superconducting responses, as well as higher resistance. Considering these, PdTe2 crystals are synthesized through flux zone growth but our R&D can also offer chemical vapor transport (CVT) grown crystals with larger amount of defects and lower crystallinity.